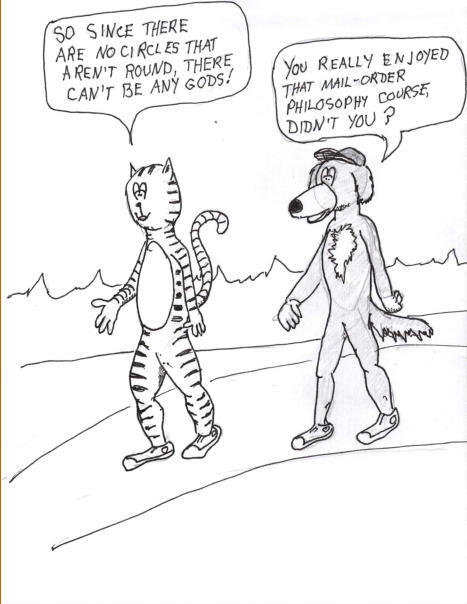 Tac and Dog In this exciting episode, Tac tries to turn around an argument for the existence of gods. 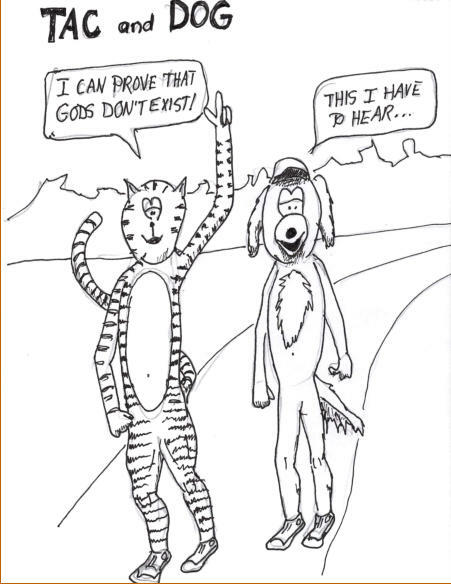 He uses it to argue that he can prove there are no gods. Dog is not impressed at all. it is very hard to argue that something doesn’t exist unless one can see all the places and times where it might happen. This is often impossible. 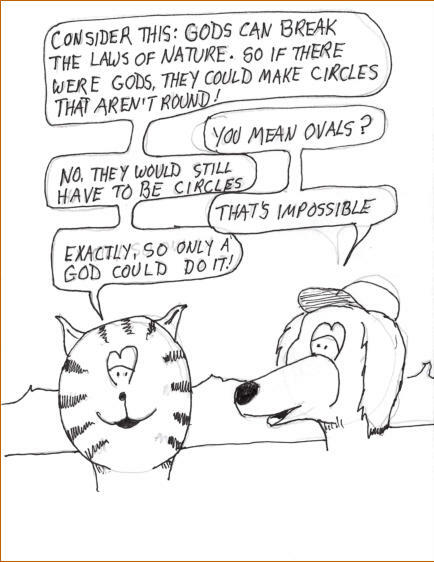 Sometimes people argue that there must be a god because you can’t prove there isn’t one. Maybe this will help you see that this doesn’t make sense.